February is a beautiful time of year, with the lead up to spring there are so many things to look forward to. Here are my 10 reasons to love February, some of these are personal favourites but I thought I would share those with you also.. It's the shortest month of the year, which means payday comes quicker! Always a bonus. Valentines Day! Okay, so usually I don't think much of valentines day, it's a day where people spend a ridiculous amount of money to show why they love their partner. Me and Gary show our love everyday. On valentines we celebrate on a budget, we do not buy presents and we cook. It's a cheap way but romantic. Pancake day - Possibly the best day of the year, well one of them! I love pancakes with strawberries and chocolate! Delicious. Valentines Day chocolate is on offer after valentines day! It's still cold enough to wear boots. It's the best time of year to start planning your summer holiday! My dads birthday month. This is more a personal favourite. My dad is one of the best people in the world in my opinion, so finding him something he will love for his birthday is just awesome. 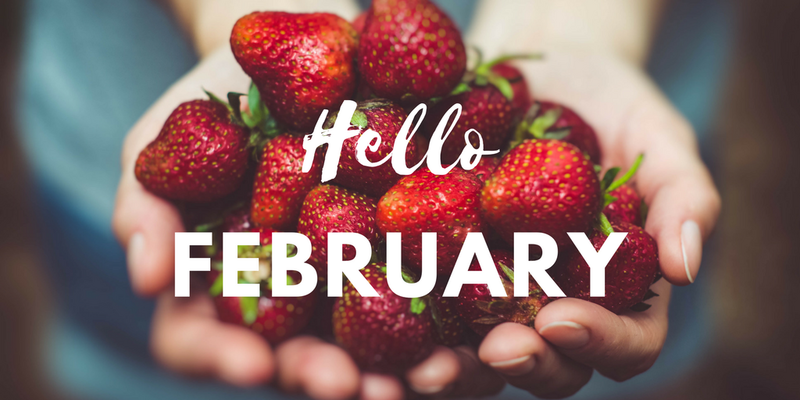 What do you have planned this February?